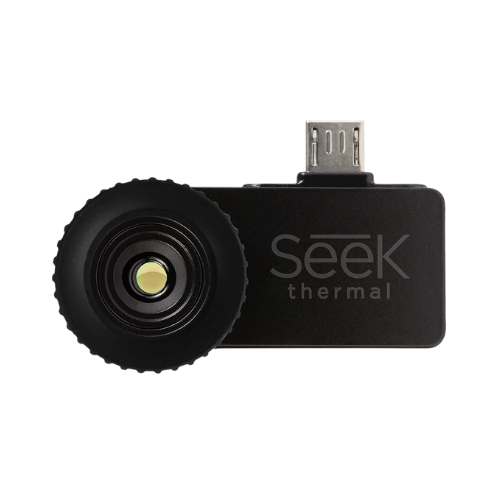 Combines powerful thermal insight with a 206 x 156 sensor, a 36-degree wide field of view, and runs off the low energy from your smartphone. Your smartphone display makes this as visual and large as your phone or tablet. Seek Compact uses advanced infrared technology to let you see thermal images in day or night – and comes with its own water-proof carry case.